The M-5 Government is the full-size basic model of the high-capacity polymer 1911 line with a lighter, more modern outer shell, incorporating a better fit, capacity, action and crisp trigger-pull. The BUL M-5 was first introduced 15 years ago, and has been a success story ever since! 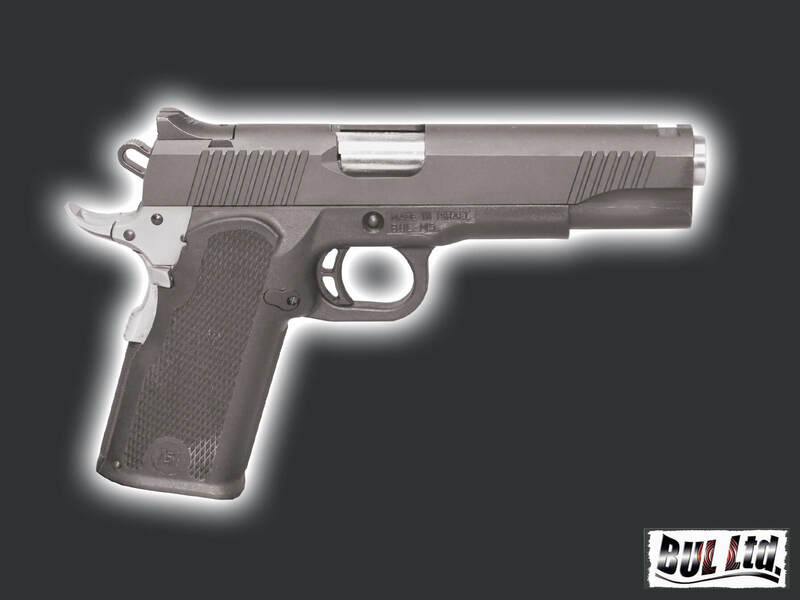 Unlike other hi-capacity polymer 1911s, the BUL M-5 fiber-reinforced polymer grip is molded onto a stainless steel implant, creating a one-piece durable and solid frame. Checkered front-strap & Mainspring housing. 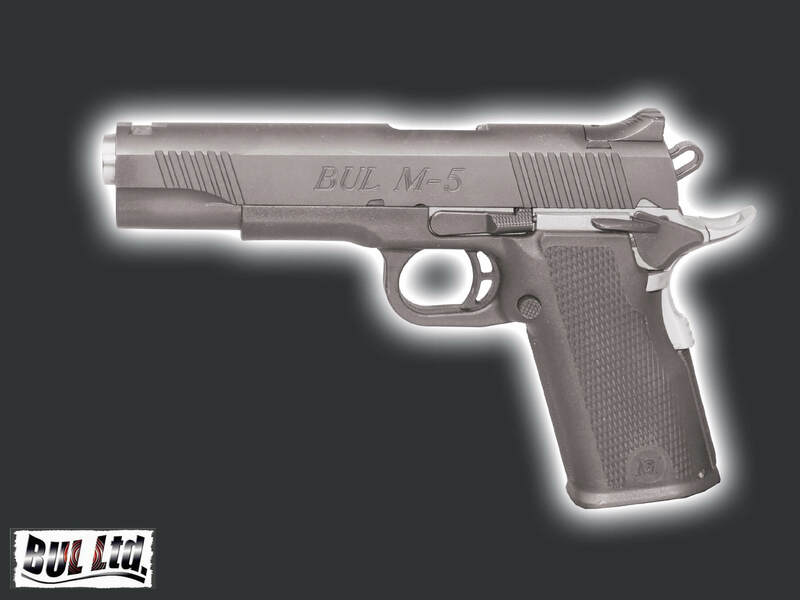 The BUL M-5 line consists of a large variety of models and sizes to suit all disciplines and tactical needs. You can choose the "Government" as your IPSC shooting standard gun. You name it - We got it! As always, only the HIGHEST LEVEL OF PERFORMANCE, SAFETY & RELIABILITY IS ACCEPTED!